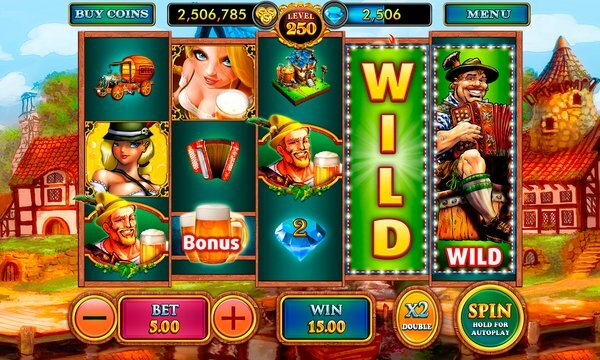 Win jackpots on #1 Oktoberfest-themed FREE slots machine. Prepare to explore the world’s biggest fleshpot of a carnival in Oktoberfest-themed, super-addictive slot machine. Thrill yourself with large mugs of real, German beer and countless treasures hidden down in the slot machine. Experience the hedonism of Las Vegas on the palm of your hand in your home, office, or on commute. 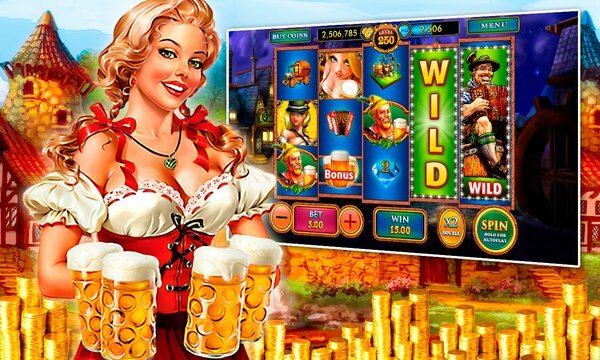 Oktoberfest Slots brings you the best funfair from Bavaria. The game is jam-packed with beer, pretty German country women, and genuine Bavarian symbols. Enjoy the endless fun from this amazing slot machine. Winning combinations trigger many awards: You can win millions in jackpots, hundreds of free runs, of unlimited free coins. Regardless of how many carnivals you have been to, this slot machine is going to blow away your mind. The sounds are high-quality and the graphics are awesome. ★ HUGE VARIETY: 20 Games to start with. ★ NEW games added each week. Join thousands of Oktoberfest Slots players and winning incredible jackpots everyday. What other gamers are saying about us? — Best slots game I have tried in years. — Fun, fun, and loads of fun. — Deleted all other slots game after downloading this one. — Huge variety. Keeps me entertained for hours. — Play saves have won me over.